Come home to peace and tranquility as you relax and refresh yourself in this 3 Bedroom 2.5 baths freshly painted interior and exterior home on a Cul de Sac location. Enjoy gentle breezes while reclining under the mature trees surrounding this Valley Trails home. View sports of your choice at the conveniently located Pleasanton Sports Park. No cost daily exercise can be yours while riding a bike on the nearby trails and/or walking in the park steps away from this lovely home. Newer vinyl and carpet floor coverings; Recessed Kitchen Lights and more have been installed to prepare your hearts and welcome you to your new home. 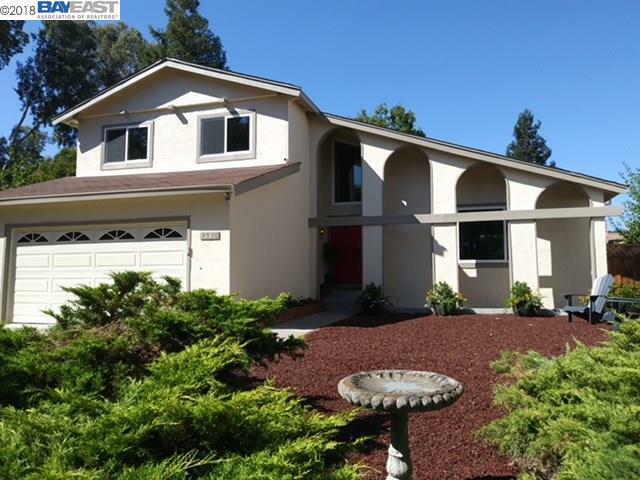 Walking distance to several of Pleasanton's Award winning schools. Close to Downtown Pleasanton, Shopping, Entertainment, Restaurants, Medical facilities; freeways, etc. Let me be the first to welcome you home. Open house 10/20/18 from 1-4pm.